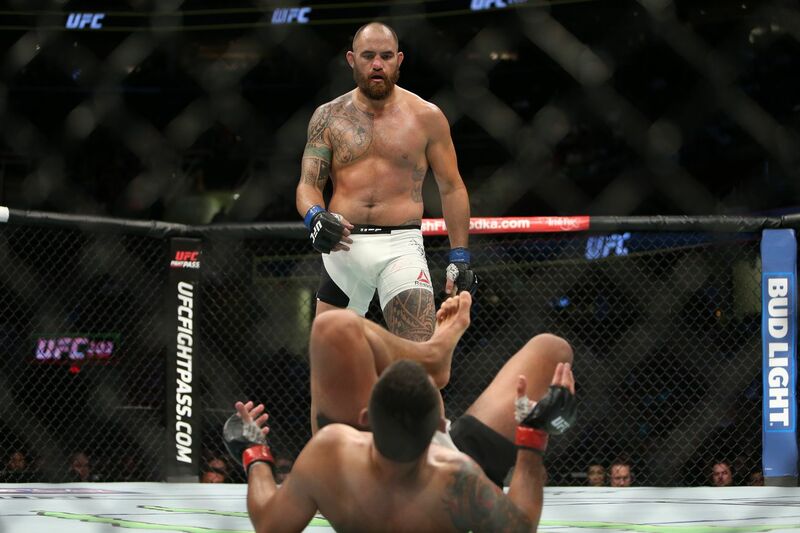 Brooklyn’s loss is Nova Scotia’s gain as the UFC makes Browne-Lewis the Canadian card’s new main event. A heavyweight fight between Travis Browne and Derrick Lewis has been rescheduled from UFC 208 in Brooklyn to the following weekend’s UFC Fight Night: Halifax card. The news, reported by Canadian sports outlet The Score, comes after the Halifax, Nova Scotia card lost its original main event bout between Junior dos Santos and Stefan Struve over an injury to Struve’s shoulder. Some have criticized UFC 208 for being light on marquee fights. But with the recent addition of Anderson Silva versus Derek Brunson to the card, it seems like the UFC is confident enough in the event’s drawing power to shift the well known Browne and rising prospect Lewis over to the Canadian card. One interesting thing to note when it comes to headlining an event in Halifax: there’s a stipulation in the combat sports laws that says main event fighters can’t be paid less than a 10% cut of event receipts each … that includes live gate and TV revenue and who knows what else. With the last UFC Halifax event making nearly a million dollars in ticket sales and UFC TV deals taken into account, The CombatSportsLaw blog estimates that Browne and Lewis may be legally entitled to $380,000 purses.